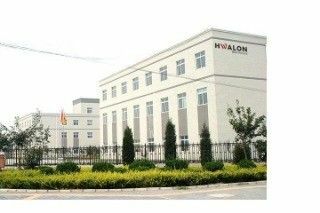 Hwalon Electronic Co. Ltd is a professional manufacturer and supplier of PTC & NTC thermistors and varistors. It has over 7 years of industrial experience in field. Hwalon owns the most advanced equipments, and has mature manufacturing lines. Our experienced engineers and technicians assure that we could customize to meet each clients need. Some of our engineers have nearly 20 years of experience. To accommodate international market, Hwalons elements have international approvals, CE, UL, RoHS. Hwalon is developing a mature foreign trade team to ensure efficient communication between clients and engineers, and to offer support and services accordingly. Clients inquiry is expected to be answered within 24 hours. Please do not hesitate to give us a try when you need support about thermistors. You may find more info. on www.cn-thermistor.com . SHENZHEN Hwalon Electronic Co., Ltd, mainly studied with the research, development, production, and application of PTCR temperature sensing resistor, is a high-tech enterprise, which is one of the minorities of the global manufactures that master the key technology of PTC protecting components. Established in 2009, it has been becoming a star enterprise of China PTCR industry. It has complete sets of advanced production equipments and has formed a PTCR production base of perfect craft detection means and a group of domestic high-level professional and technical personnels. Cooperating with professional personnels from such institutions of higher learning as Institute of technology of Central China, Tianjin University, Xi'an Communications University, etc., we have developed the electronic ballast of PTCR series, and the PTCR products for the electricity-saving lamp softly - starting, degaussing return circuit components for the tricolor tube, the PTCR components and parts for the crossing, flowing, and protecting of the voltage transformer, digital universal meter, digital kilowatt-hour meter, communication apparatus, components for the heat of the refrigerator, electrical machinery starter, air conditioner, warm air blower, driving mosquito device, etc. We enjoy high prestige in domestic PTCR trade. In 2010, we passed Swiss SGS international environmental protection authenticaiton (ROHS authentication) testing and ISO 9001 international quality management system authentication again in succession in 2011. We have introduced advanced prescription and production technology again from the foreign PTC thermistor industry recently, which has perfected the key technology of this enterprise product further, and offered a service platform with quality of our old and new customers. Our products not only have a great domestic market, but also find a good sale in such international markets as Southeast Asia, Eastern Europe, India, Western Europe, and North America, etc. 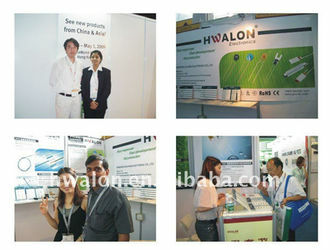 Shenzhen Hwalon Electronic Limited, possess a group of professional staff in each department. General Department Members of the board of directors fully take advantage of their rich experience, management skill, to make sure company are in continuous normal operation and development. 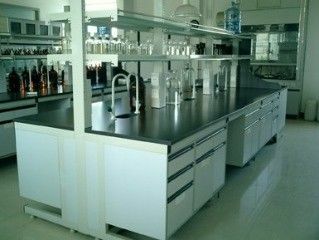 R & D Department It gather skillful research personnel in this line,devote themself to research and develop new product, to meet customers's requirements from all over the world. 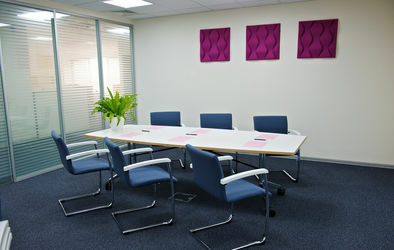 They also can handle and settle any technical question and trouble customer brought up. Production Department Diligent worker are work together here to produce product. They follow the procedure, to produce rigorously and high-efficiently, to make sure to meet customers' schedule on time. Purchasing Department It in charge of purchasing All the raw material for product we make, to make product is in High quality and safe & efficient in application when using. Sales Department Interested in sales job & Thermistor,salesperson always doing their utmost to develop & contact customer, to quote the price,to send the sample for testing, to get orders so as to sell the products to all over the world. Meanwhile, they are striving and reaching for a higher and higher sales target every year. All the teams are looking forward to, by joint efforts, to working hardly and persistently for the promising bright future of company.